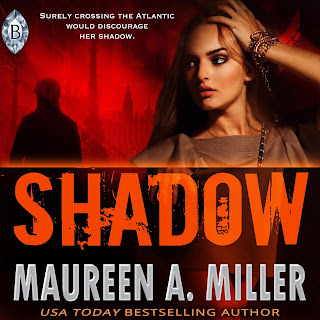 Congratulations to "Janet K.", the winner in Maureen's giveaway. When I listened to my first audiobook the fascination with those nighttime radio shows came back to me. The pleasure of the tale was there, but it was also the magical inflections that made the story come to life. Similarly, I would experience this with my uncle who would come over every Sunday and tune into the Giants football game on the radio. I would say, "But the game is on TV," to which he startled me by replying, "There is something romantic about listening to a sporting event on the radio." Later in life, I understood what he was saying. One of the definitions for romance is, "a quality or feeling of mystery, excitement, and remoteness from everyday life." That is what he was getting from the audio broadcast. Mystery and remoteness. That, and the fact that he enjoyed the announcer's commentating. How about you? Do you ever find yourself enjoying just listening to something instead of seeing it with your eyes? Does anyone even listen to local radio stations anymore? Do you like podcasts? 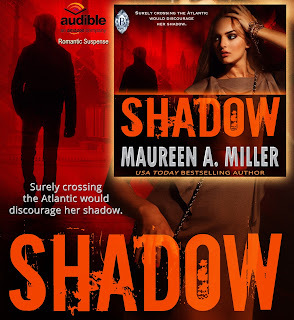 This week my romantic suspense novel, SHADOW released as an audiobook. The talented narrator, Brandy Skelly took us across the pond, and it was much less expensive than buying an airline ticket! :) Listen to it FREE with a 30-day Audible trial! I love audio books. I listen to them while I am walking for exercise, while I'm eating lunch and while cleaning house. I can't be without an audio book so I thank my library- Overdrive and Hoopla - for keeping me well stocked. I have not gotten into audiobooks or podcasts...I would rather imagine the story through the printed page and at my own pace... just not my cup of tea, but congrats on the audiobook! I listen to something almost every day. When I first started I found that I had to concentrate but soon I got used to listening. It is a great way to get housework done too! I am so pleased to hear that you have yours out in Audio! And, Congratulations! Thank you, Jan! The concentration aspect was a problem for me too. I'm one of those "Oh, shiny thing!" people. Always getting distracted. I signed up the for the audible romance package, and I love audios! It helps me multitask more! I haven't got into audio books yet. It took me a long time. Thanks for stopping by, Mary! Will Mist and Dusk also be released on audio? Hi Mary! :) I think it's dependent on how SHADOW does. I loved listening to weekly shows on the radio. We would drape ashes or blanket over the table, crawl into our "listening cave," and listen to Buck Rogers, and so many other made for radio dramas. I now listen to books on CD whenever I get the chance. Like reading, I get to use my imagination to fill in the scenery and the appearance of characters and places. Good readers make all the difference in the books. It is amazing how a single person can read all the parts, male and female, as well as do the narration, and it works beautifully. I don't really listen to them. Not a big fan. Hi Sandra. Nothing beats a good book, that's for sure! I like listening to audiobooks & podcasts because they help me to relax. Thanks so much for stopping by, KV!